After decades of struggling for buy-in, the customer experience function has finally started to secure a seat at the executive table. Organizations are increasingly appointing “chief customer officers” and “chief experience officers” to oversee the function at the high-level. It is time for executives to make the most of the opportunity – and this special report is here to help! 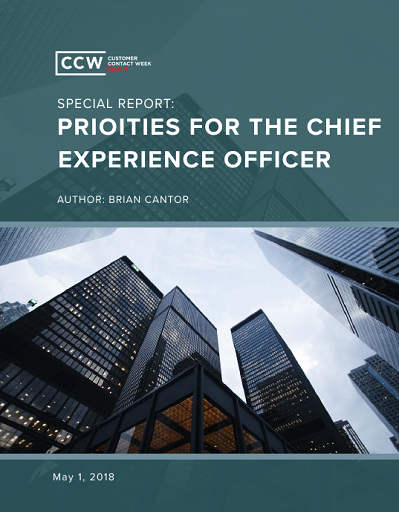 Specifically, it explores the issues and strategies executives must prioritize as they work to make the customer experience a more integral part of their businesses. How can they build a framework that allows customer experience teams to deliver the best results for their business? How can they secure C-suite support for key customer contact initiatives?